Quality; or beauty is in the mind of the beholder. Quality cannot be eloquently explained in words (or at least not by me), but it is something that we’ve all felt and have experienced. This notion is probably more familiar with Eastern cultures, but Westerners are wising up to the benefits of quality as well. Shokunin kishitsu, Japanese for “craftman’s spirit,” is a way of life dedicated to mastering one’s profession. However, it’s more than just a job–it’s a philosophy about delivering a product or service of the highest excellence, no matter the type of work you do, blue- or white-collar. If everyone does their part, the hope is to enhance all of the interactions we have in society. We’ve all listened to virtuoso musicians who have played their instruments with such magical perfection, that for a brief moment the Universe seemed to make complete sense. We’ve all witnessed athletes who have controlled the ball in such exquisite ways, it looked like an extension of their own body. And we’ve all been transported to another time and place by a writer who captivated our very imagination using only printed words on a page. Man and instrument. Man and sport. Man and story. What do they all have in common? They all share the internal harmony that we feel when the tangible and the emotional sync together perfectly to create something profound, something beyond words. Quality is the invisible glue that fills the spaces inbetween, getting us as close as we can to experience a holistic feeling of completeness or perfection. Quality can exist in more subtle ways as well. Our daily lives are full of small, delightful moments. The first time you ever used a scroll wheel iPod and became aware that you could control everything with just your thumb. Knowing your Ziploc bag was sealed because the yellow and blue sides came together to create a green lock of freshness. Realizing the little arrow next to the fuel icon on your car’s dashboard is denoting which side the gas tank is on. Shutting your cabinet drawers and watching them slow down to quietly close in a zen-like manner. The first time you used Heinz ketchup from a squeeze bottle, and breathing a sigh of relief knowing that you’ll never have to whack that glass bottle and ruin your french fries ever again. Quality is the quiet satisfaction of not only enjoying these experiences, but conciously being aware of the thoughtfulness put into the products themselves. It’s the brief awareness that you now understand another tiny part of the world around you. This is directly related to the stories of people’s experimentations with drugs, meditation and spirituality–all different ways of finding wholeness, clarity and balance. What some call enlightment, I call reaching the highest level of quality. Jiro Ono is the chef and owner of a three-Michelin-starred sushi restaurant in Tokyo, Japan. 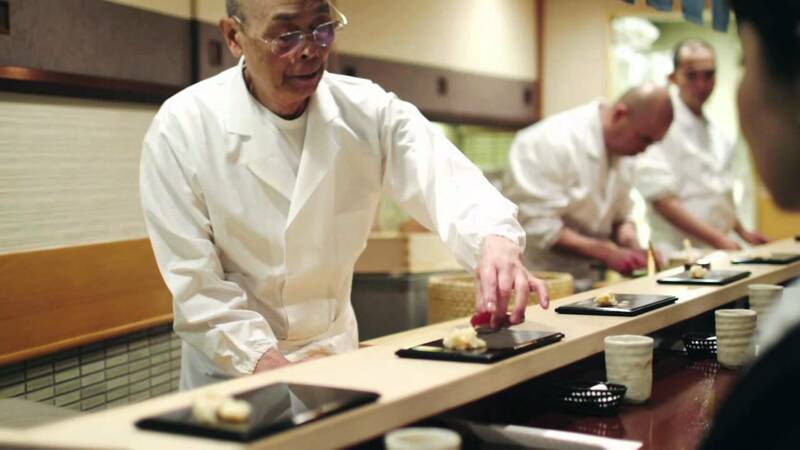 Ono has been regarded by his contemporaries and peers as the greatest sushi craftsman alive. Jiro Dreams of Sushi documents his continuing quest to perfect the art of sushi and his intense focus on being a Shokunin. We all know the phrase that form follows function. Meaning, we must first understand and address the primary issue to be solved before we think about the secondary attribute of its aesthetics. Musical instruments–like a guitar, piano, harp or saxophone–are considered by many to be beautiful objects. However, are they considered beautiful purely because of their unique forms? Or are they inherently beautiful because their complex and unique forms serve a logical function (by creating very specific sounds)? To create this particular sound (the function), we need the object to take on a particular shape with different materials (the form). Beauty is therefore based on the logical perfection of the function. Form becomes the by-product. Maybe this is why symphony orchestras are still regarded as the height of musical achievement compared to more modern, digital renditions that can create flawless compositions. In the digital era, we tend to lose an added layer of the tangible; these unique instruments–and the humans gathered together playing them–create a visual beauty that accompanies the music itself. Something special occurs when the tangible form combines with the purposeful functionality. The beautiful sounds, the elegant instruments, the skilled musicians, the enchanted listeners; all of these elements help form a feeling of completeness felt by everyone involved. And that special something is what I mean by quality–culture itself has progressed. The height of a civilization’s culture relies on the level of quality associated with it. Mankind has had dozens of innovative, intellectual and inspiring civilizations throughout its history on Earth that have advanced knowledge in science, art, music, math, technology, philosophy, etc. And by this logic, one can make an intellectual argument against the philosophies of ISIS and other terrorist regimes as the wrong direction humanity should go in. Even the mindfuck of chaos happening inside the Grand Old Party is proving that culture in America is pushing forward, with or without them. 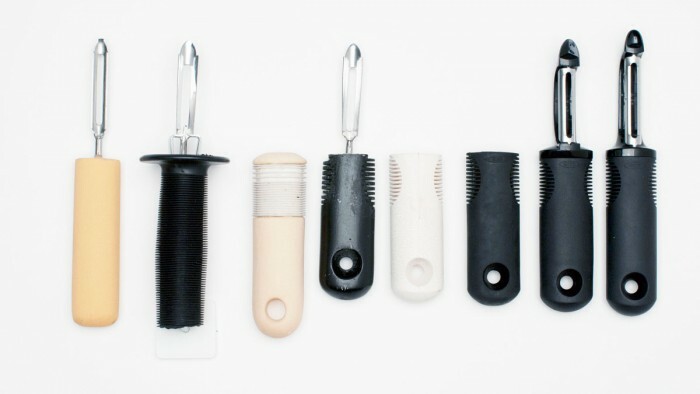 In 1989, Sam Farber spotted a market opportunity when he saw his wife, an arthritis sufferer, struggle to use a conventional metal vegetable peeler. When he founded OXO, he designed a comfortable and high quality line of kitchen tools that addressed the needs of a wide range of people, not just the young and strong. What about everyday functionality where an object’s “beauty” doesn’t really matter as much, like zipping up your jacket? We rarely think about the form of a zipper in an aesthetic sense–its purpose is almost purely functional. When something performs its duties well, that typically means it was simple to understand and inherently easy to use. The easier something is to use, the more we tend to stop thinking about its intended purpose and just instinctively act. Some things might be so intuitive and part of our everyday life that we don’t give them much notice. How many times per day do we zip and unzip things? Only when the function fails do we recognize its intended design–I’m sure we’re all aware of the frustrations in dealing with a faulty zipper. I would like to suggest that a well-made zipper has a high level of quality associated with it. Just because you forgot to acknowledge the delightful time zipping up your jacket with ease didn’t mean you enjoyed it any less. You’ve just done it so many times that you no longer need to think about it. The performed action has become second nature, which is a true testament to many designed objects and systems. Ironically, this poses a problem for appreciating the amazing everyday solutions that surround us–great design becomes invisible. A very small selection of modern chair designs. On the flip side of the coin, the form of an object isn’t always so passive. Industrial designers are always exploring new and inventive ways to enhance the form (not just the functionality) of a product. Take the chair, for example; we’ve surely succeeded over the centuries at solving any functional issues left with how this object might function. However, the never-ending variety of chairs continues to this day, with literally thousands upon thousands of variations. Designers have been–and still are–pushing new ways of thinking about the function and form of the chair. Design, in this case, has taken on a creative interest that goes beyond the fundamental needs of humanity by continually challenging conventional thinking. Pushing ideas of art, fashion and design into new and exciting places, purely for the sake of progressing culture, shows us the value of beauty and art in society. So no matter our motives, functionality and form are both worthy pursuits in mankind’s quest for perfection.